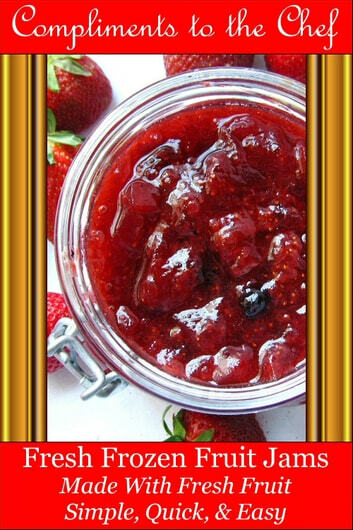 You will find 20 taste tempting Fresh Frozen Fruit Jam Recipes like Violet Freezer Jam, Concord Grape Freezer Jam, Strawberry-Nectarine Jam, Gingered Pear Freezer Jam, Rose Hip Freezer Jam, Blackberry Freezer Jam, and Nectarine Apricot Freezer Jam to name a few. Tempt your family and friends and become everyone’s favorite Master Chef of your kitchen with a little help from Compliments to the Chef! Toaster Oven Recipes Anyone Can Do: The Ultimate Toaster Oven Cookbook for All of Your Toaster Oven Needs! The Ultimate Casserole Cookbook: Quick Easy and Delicious Casserole recipes The Whole Family Will Love! The Art of Bread Baking: How to Prepare Delicious Handmade Bread At Home? Hot Dog !! : The Sauce Makes The Dog!